Whether you need to maintain, restore or repair your jewelry, we can help you! Jewelry, much like vehicles, need tune-ups from time to time to preserve a lifetime of enjoyment. 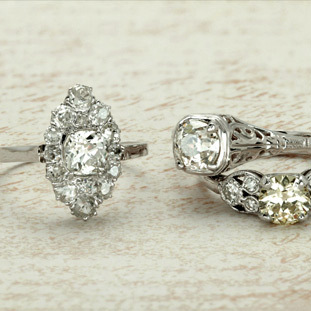 Give your jewelry (& watches) the TLC they deserve to stay looking beautiful and become heirlooms. Here are some of the wide variety of services we can help with and frequently asked questions. FREE Prong Inspection *Recommended every 6 months! How long will my repair take? Most repairs will take approx 4-7 days to complete. If parts are needed to be ordered for the repair job, this can add a few more days. If it is a more complicated job, it can take a few weeks. Watch battery replacements and watch band adjustments generally are done while you wait. Other watch repairs can several weeks because our watch repairman needs to observe it for about 2 weeks to assess the problem, fix it, then observe it for another 2 weeks to make sure that did the trick. 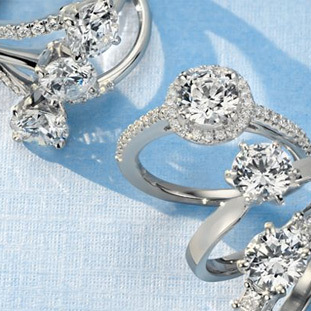 Overall, we do not rush through working on your precious piece of jewelry. Rather, we would like to take the extra time to make sure we don't cut corners and it is a repair job we can stand behind. Are your repairs done on site? Goldsmith/bench jewelry work areas take up a lot of space, create lots of noise, and use many chemicals we would rather not have in our store. Our goldsmiths and watch repairmen do not work on site BUT they are in the 209 area code. The location is private and secure. To help ease your mind with this, EVERY piece of jewelry we take in for a repair or service, we provide insurance for you (through Jewelers Mutual Insurance Co.) in case of loss or theft. We always ask you how much you would like us to insure your jewelry for and we cover the insurance - NO extra charge to you. We have NEVER had to use this insurance, but it definitely helps give piece of mind. Plus your repair claim ticket includes a photo id of your jewelry and description. How much will my repair cost? This greatly depends on what work needs to be done and what metal and purity the piece of jewelry is. We are more than happy to give you an estimate upon inspecting jewelry before any work is done. To give you a few examples, a solder is $39. To size up a white gold thin engagement ring is $79. To size down a wide yellow gold ring is $45. All jewelry is then polished and detailed to "like new" condition at no charge to you. All subject to change and depends on piece of jewelry. Why does it cost so much? Working on precious metals and refurbishing your jewelry back to factory specs is no easy task. There is much training, specialized tools, and expensive materials involved. Can you find someone to repair your jewelry cheaper? Probably yes, but our goldsmiths have years of experience, very talented, and DO NOT cut corners. You'll never get a hack job with us! And believe me we have seen some poorly repaired jewelry throughout the years. Will you stretch my ring? No. Only in extremely rare situations will we recommend stretching your ring instead of resizing it. This was more common years ago and a way to save a few bucks. Instead our goldsmiths will make a cut at the bottom of the shank, add a bar of whatever metal and purity that matches your ring, weld it on, and then polish it without it every looking like it was altered. This will greatly add to the longevity of your ring instead of stretching it that can cause your shank to thin and wear out faster. What is Rhodium Plating? Great question! We wrote a full page article on this. Read here. How do I know you won't switch my diamond? This is an excellent question. And with good reason! It is very unfortunate to hear of this happening in the news. We want to do everything we can to make sure you are confident this will NEVER happen with us. Not only is the fact we are family owned and operated with high morals, but our reputation is extremely important to us. We would never do anything to compromise our almost 30 year high standing reputation in the community. But beyond this, we are happy to take a high resolution photo of your diamond upon request and show you identifying characteristics your diamond has. It is a good idea anyways to know this about your diamond so you can also know how to identify your stone. Having a lab report helps with this, as it will map out where your inclusions and identifying characteristics are. Plus, we don't do free upgrades ;) With humor aside, if there is something we can do to help assure you do not hesitate to let us know. Have a question we didn't answer? Contact Us Today!